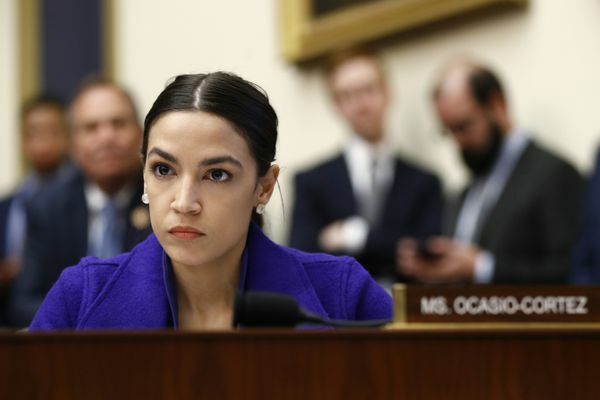 "You refuse to cosponsor the 9/11 Victim's Compensation Fund yet have the audacity to drum resentment towards Ilhan w/completely out-of-context quotes", Ocasio-Cortez tweeted on April 11. "In 2018, right-wing extremists were behind nearly ALL US domestic terrorist killings". Barr in the Friday letter said Ocasio-Cortez's remarks about Crenshaw went too far. "This is a really dishonest attack and let me tell you how I am for 9/11 victims and 9/11 first responders". Then-President Barack Obama vetoed the bill and the Republican-controlled House and Senate voted to overrule Obama's veto, the first override of a veto that happened during his administration. 'First Member of Congress to ever describe terrorists who killed thousands of Americans on 9/11 as "some people who did something", GOP Rep. Dan Crenshaw said in an accusatory tweet.